Drip. Drip. Drip. Drip. That’s the sound that every marketer should be aware of. A drip campaign involves automatically sending out a set of messages that have been previously set on a schedule. 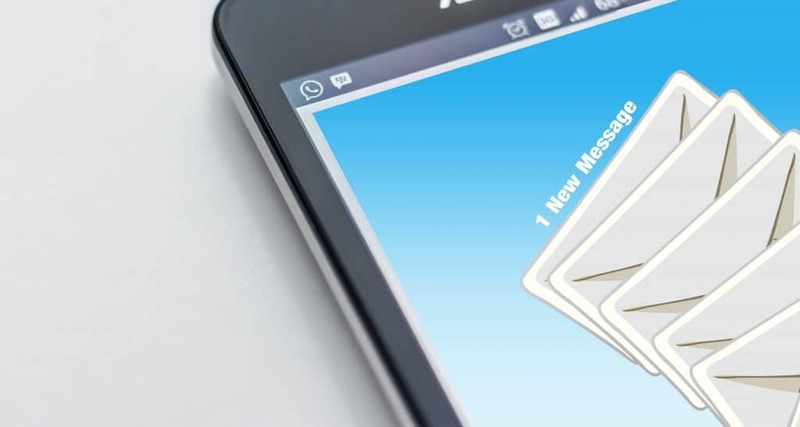 These messages often take the form of email marketing, although direct mail and phone-based marketing are effective as well. Nevertheless, there is a fine line between a successful and unsuccessful drip campaign. If you overdo it, you could end up bombarding your prospects with an overwhelming amount of content. Or you could steer off course and your prospects may forget that you even exist. In this post, we will be focusing on the most effective form of drip campaign: email. Done right, an email drip campaign is a great way to generate engagement among prospects and to establish open communication. Did you know that drip marketing gets its name from irrigation? Like a farmer planting seeds, you are slowly building rapport with prospects by nurturing them with information. The emails that you send vary depending on an individual’s recent activities or inactivity for that matter. If an individual does not respond to your initial email, a follow-up email is sent at a later date. This is done in an attempt to re-establish engagement and to stimulate a call to action. Every response or lack of response initiates another round of emails, which are sent out repeatedly over long periods of time. Hence, the “drip” in drip marketing. The great thing about drip marketing is that it all happens automatically based on user segments and triggers. For instance, let’s say that someone has just subscribed to your newsletter. A drip campaign could send them a welcome email right away. A few days later, they could get another email, displaying some of your most popular content. Or let’s say that a prospect has been considering purchasing your services, but they have yet to pull the “trigger”. A drip campaign could send them an email, highlighting a few main reasons to purchase the services. Do email drip campaigns work? YES. Research shows that they can result in a 20% increase in sales opportunities. Additionally, it has been found that individuals who read drip emails are more likely to click the links in them. As a result, the click rate from drip emails has reached a whopping 119%! You can establish a specific email drip campaign for educating prospects, rewarding your most loyal customers, and much more. Most importantly, you can segment your email list based on demographics, purchase history, etc. This can help you to target the right individuals when they are nearing a decision, leading to more conversions. The more specific your segments, the more likely you are going to generate engagement and interest from prospects. Yet, email drip campaigns are not just about targeting good sales leads. They eliminate unresponsive visitors early on so that you do not have to waste time and energy trying to establish contact. It is better to reserve your efforts for those who are actually receptive to them. Setting up an email drip campaign can help you to get your message across and convert targeted prospects into customers. Yet, how do you devise a successful drip campaign? Believe it or not, it’s not that hard. A drip campaign all about turning prospects into customers. That being said, your subscriber list needs to include the audience(s) you are targeting and triggers. Try making audience segments based on features such as visit frequency, purchase history, etc. From there, send out emails based on one of two types of triggers: action-based or user demographic information-based. Target your drip campaign toward a specific audience and behaviour so that it can be effective. Now that you know the audience you are targeting, you need to create a message that will grasp their attention. What do you want them to do or what do you want them to learn? Based on your answer, create a message that is clear, informative, and captivating. You need to map out your drip campaign from initial contact to sales to support. What is the sequence of your emails going to look like? Does your messaging line up with your triggers? How are you going to measure the results? These are just some of the things that you should consider if you want to drive customer engagement and successful sales. Once you have mapped out your drip campaign, start sending emails! You can do so by either implementing your own customer drip software or buying an off-the-shelf model. The choice is yours. Just because your drip campaign runs on automation, this does not mean that it should run unsupervised. After you have spent time researching audience segments, assess the results. It is important to adjust the segments and make changes accordingly if you start noticing you are not meeting your goals. Always do research before launching an email drip campaign. Test, test, and then test some more. You may have a lot to say, but are your prospects willing to listen? You need to create drip emails with high-quality content that is relevant to their preferences and needs. After all, relevant emails drive 18x more revenue than generic emails. Additionally, you should pay close attention to your subject line, as it can make or break your campaign. From there, adjust your messages as needed so that your drip emails are always on point, informative, and engaging. Improving and optimizing drip emails is an ongoing process, but it is only a matter of time before you have leads moving successfully throughout the sales funnel.